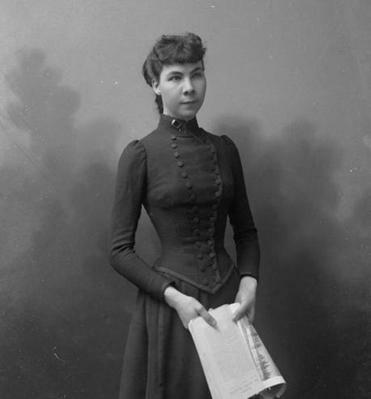 In 1893, Madeline Pollard filed suit against congressman W.C.P. Breckinridge. Stop me if you’ve heard this one before. A woman brings charges of sexual misconduct against a politician who campaigned heavily on family values. News stories disparage her and portray him as the real victim. An “investigation” is launched — by a crony of the accused, who explains that affirming his friend’s wholesomeness is in the national interest. “[T]he effect upon society, and especially the young people of the country, cannot be for good,” he says. Reword that as “It’s a very scary time for young men in America,” and we could be forgiven for thinking this happened very recently. In fact, it was over a century ago, in 1893, that Madeline Pollard filed suit against Kentucky congressman W.C.P. Breckinridge. And the case took a turn that will surprise even the modern reader: Pollard won. Journalist Patricia Miller started researching “Bringing Down the Colonel” 12 years ago, long before there was a #MeToo. But it’s impossible to read the book without it feeling familiar — the clear parallels to Trump, Weinstein, Kavanaugh, and other figures in the “he said, she said” dramas of our own time. Miller’s compelling account is both shockingly relevant and a grim reminder that, when it comes to double standards, we haven’t advanced all that far since the Victorian era. The back story is a variation on a familiar theme: a powerful politician from a prominent family has an affair with a teenage girl who has no money or social capital of her own. He promises to marry her one day, but when his wife dies, he marries a wealthy cousin instead. What was shocking was that after Breckinridge betrayed her, Pollard went public, suing him for breach of promise even though she had nothing tangible to gain — she refused a settlement and expected no payout — and everything to lose. Her sole motivation, it seemed, was to challenge the hypocrisy of a system that called for “ruined women” like herself to disappear ignominiously while the men involved could move on unscathed. Miller documents the trial vividly, pulling details from stories that dominated nearly every newspaper in the country for weeks. Chapters alternate between the perspectives of three different women: Pollard; Breckinridge’s daughter Nisba; and Jennie Tucker, a secretary-turned-private-detective hired by Breckinridge to befriend Pollard and dig up dirt for the defense. The trio are foils for each other in some ways, mirror images in others. Roughly the same age, each is acutely intelligent, driven, and passionate about her cause. To flesh them out, Miller draws on their diaries, letters, and unpublished autobiographies (luckily for her, two of the three had lofty literary aspirations). Pollard especially is a layered, complex character. Her boldness, self-confidence, and enormous charisma help explain how she managed to turn tradition on its head and avoid social ruin partly through sheer force of will. But there were other reasons her case succeeded, and why it became a national sensation. For one thing, the timing was right, Miller reports. The last decade of the 19th century was marked by political, economic, and social upheaval. A devastating economic crisis and an influx of women into the workforce helped reshape domestic roles. Women were gaining social power — and finding their voices. In fact, some of the most damaging testimony against Breckinridge came from the women in his world — individuals he probably never imagined could hold any power over him, including an upper-crust family friend, a former slave who ran a brothel, and his onetime typist. It’s an empowering tale, and Miller makes a convincing case that Pollard’s cultural contribution was significant and lasting, helping pave the way toward gender equality. Obviously it didn’t get us all the way there. But reading her story now could bring us closer. In hauntingly prescient testimony before an all-male jury, Pollard says, “I believed there was a principle involved as to whether a man had a right to do as he chooses without suffering the consequences, while the woman must be bowed down with her shame. I said I believed the time would come when there would be a change of feeling on that part, and I said the time was near and it must come.” In other words: #TimesUp. Jennifer Latson is the author of “The Boy Who Loved Too Much,’’ a nonfiction book about a genetic disorder sometimes called the opposite of autism. Follow her on Twitter @JennieLatson.